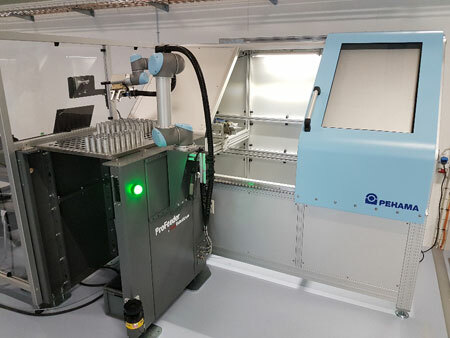 New from RARUK Automation is ProFeeder, a compact, mobile and modular robot cell that can be easily moved between production and processing machines to increase productivity. It is designed to accept a robot arm – such as a Universal Robot; also from RARUK Automation – and can be systematically expanded to give manufacturers a growth path to full automation. ProFeeder Light is the foundation product which comprises a basic, stand-alone unit with one manually removable parts’ tray with a capacity for up 780 units, depending on their size. Ideal for use with most CNC machines, ProFeeder Light can handle a wide variety of parts up to 10 kg and is used as extra ‘manpower’ for small batch production or the first step towards greater automation. It can also be expanded at any time to incorporate additional functions such as turning, deburring or cleaning.